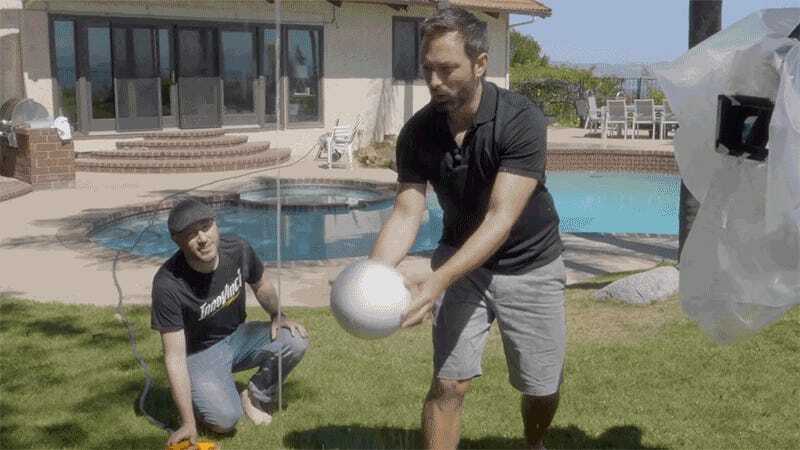 We’ve all made a tiny ping-pong ball float on a hair dryer, but what YouTube’s Veritasium is demonstrating here—a giant styrofoam ball floating on the side of a thin stream of water—seems to contradict every scientific law governing our universe. But there is an explanation as to what’s happening. 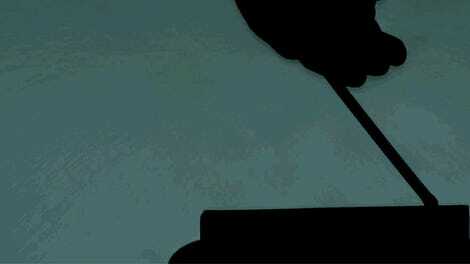 When you place a ping-pong ball on the stream of hot air blasting out of a hair dryer pointed upwards, Bernoulli’s principle explains what’s going on. 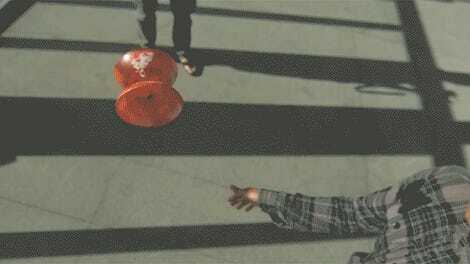 As the floating ball drifts towards the side of the air stream, it interferes and causes the moving air there to slow down, which in turn increases the forces that push it back towards the center, creating an equilibrium that traps the ball in mid-air. But what’s happening here is a little more complicated. 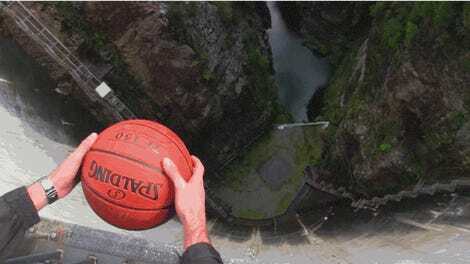 According to Veritasium—aka Derek Muller—the force of the vertical water stream perpetually pushes the ball up and away from the stream, but also makes the ball spin. As it spins, it creates a spray of water that’s thrown over and down the other side of the ball, creating another counter-force that pushes the ball up and back towards the stream of water. All of those forces end up working together in equilibrium, automatically correcting each other so that the ball appears to somehow float on the side of the stream.